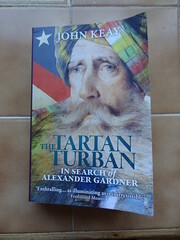 John Keay‘s biography of nineteenth century elusive adventurer Alexander Gardner. 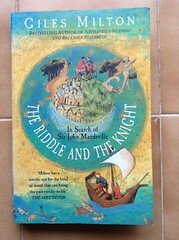 So, there’s plenty of of scope for biographical sleuthing and rehabilitation from the always readable John Keay. I put this book aside in the middle of Rosenau, the account of the Duchy of Saxe-Coburg and Gotha, and the intertwined lineages and lives of Queen Victoria and Prince Albrecht (Albert) of Saxe-Coburg and Gotha. 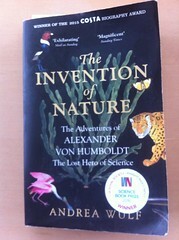 A rare event, to abandon a book. 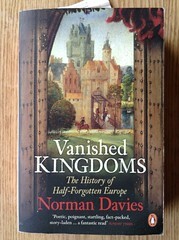 I’d been drawn to this hefty history of lost kingdoms by the earlier chapters – the Britons and the Kingdom of Strathclyde, Tolosa and the Visigoths – and whilst I enjoyed the overall concept and the three part structure of each chapter, as we moved into the early modern period and beyond and the quantity of sources expanded, the wealth of detail this afforded grew too much for me: the later chapters were just too heavy going. 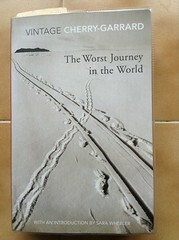 The Worst Journey in the World has been on my reading list for a long time. It’s Apsley Cherry-Garrard’s account of the 1910-13 Nova Terra Expedition to Antarctica, where he was part of a three-man scientific research team that undertook the harrowing Winter Journey to collect the first specimens of Emperor Penguin eggs. This is The Worst Journey in the World of the title. However the Nova Terra expedition is better known for the explorations undertaken by its leader, Captain Robert Falcon Scott, together with Edward Wilson, Henry Bowers, Lawrence Oates, and Edgar Evans, who succeeded in reaching the South Pole on 17 January 1912, only to find that Norwegian Roald Amundsen had beaten them to it. All five men died on their journey back from the pole. I had hesitated to embark upon The Worst Journey in the World, fearing that Apsley Cherry-Garrard’s autobiographical analysis of the expedition would be a heavy going account reflecting the attitudes of Empire and the Edwardian era. Sara Wheeler‘s introduction to the Vintage Classic edition I read dissolved my concerns, and I found this to be a fascinating and heart breaking read. I’ve added Sara Wheeler’s biography of Apsley Cherry-Garrard – Cherry: A Life of Apsley Cherry-Garrard – to my reading list.